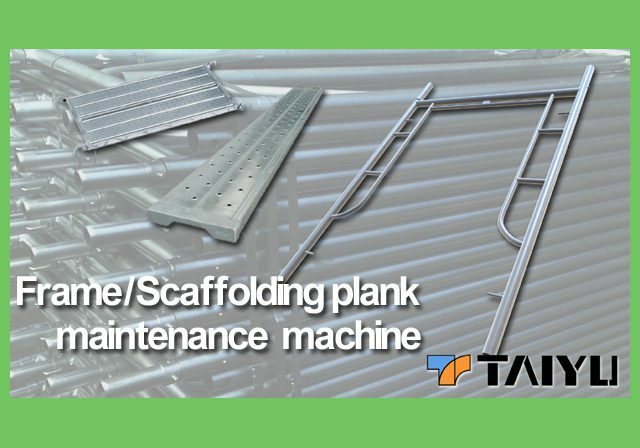 The largest number of line up of scaffolding maintenance machine in construction industry. 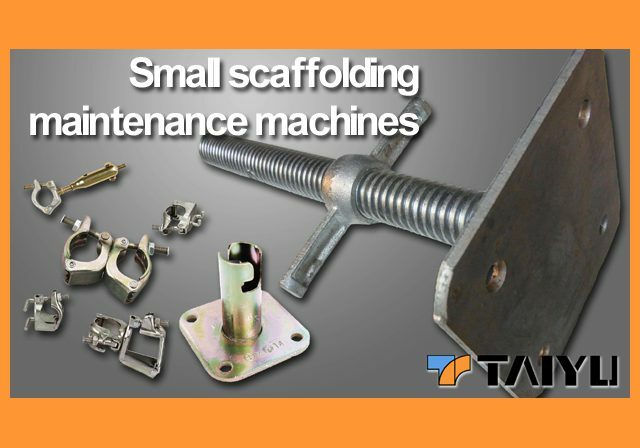 TAIYU has the larget number of product line up to meet the demand of various types of scaffolding equipment and maintenance of work. We solve the issues of labor shortage, and improve productivity and maintenance quality through mechanization and IT. 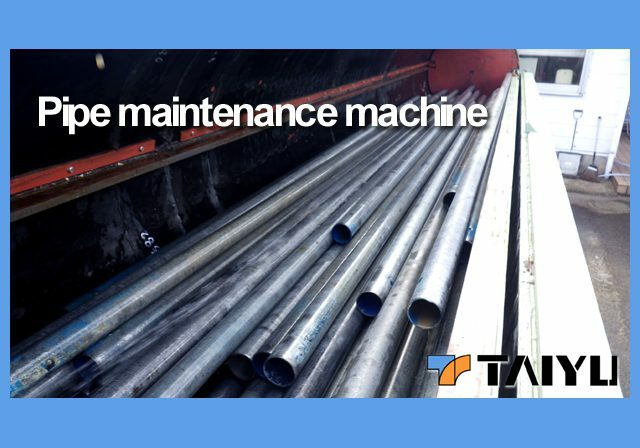 Utilize TAIYU maintenance technology for your sustainable business. 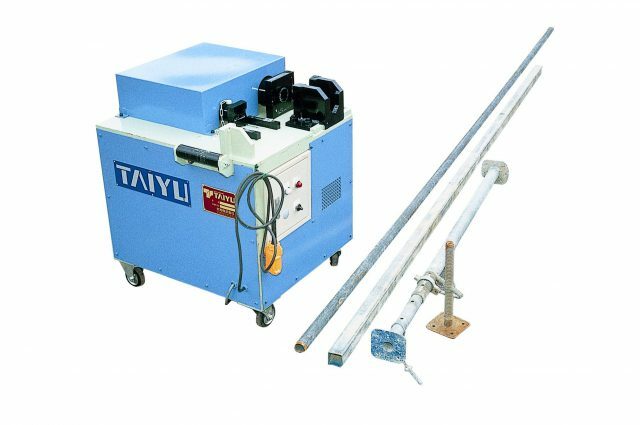 Cleaning machine for small scaffolding such as braces New Cylinder Drum / High-efficiency pipe cleaning and straightening machine TP-R type / Hydraulic scaffolding material straightening jig TAIYU Power Touch / etc. 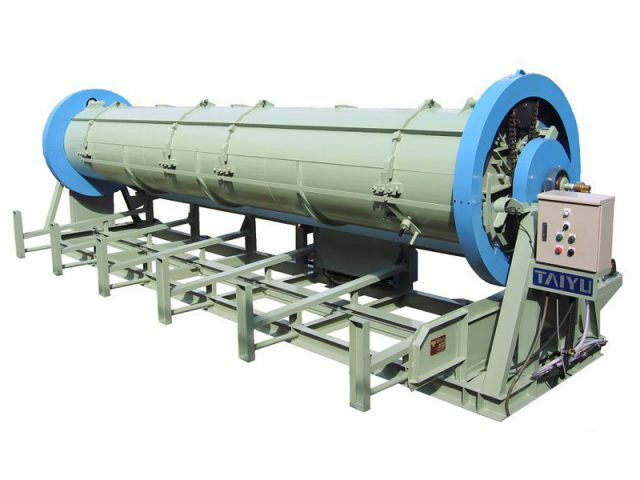 Cleaning process speed is 40m/min and straightens pipes at the same time. 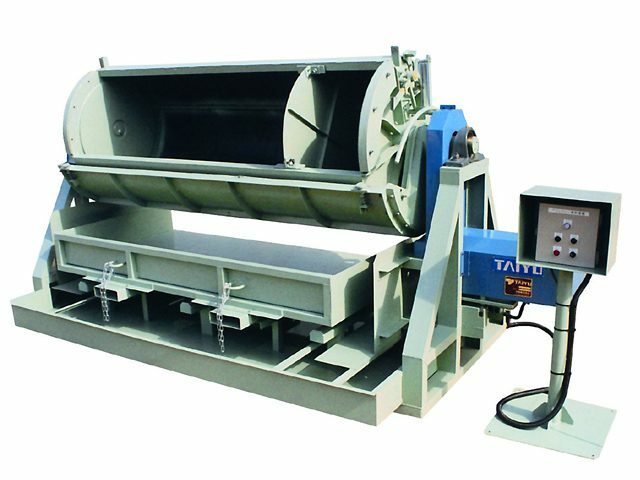 5 times processing capacity that of conventional machine and remove not only concrete deposit but also resin-based stains. 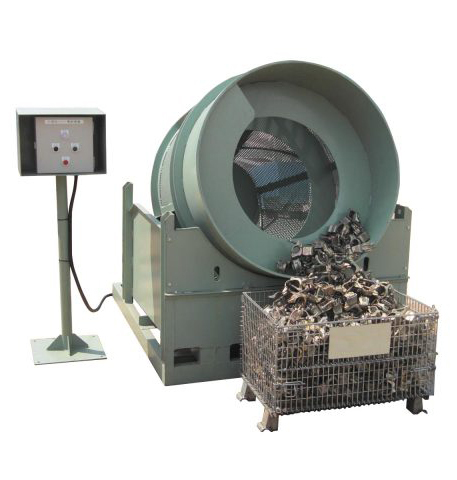 Cut pipes and chamfer both inside and outside of the pipe by this machine only. Straightens tube and square pipe, supports, jack bases, and other hardware. 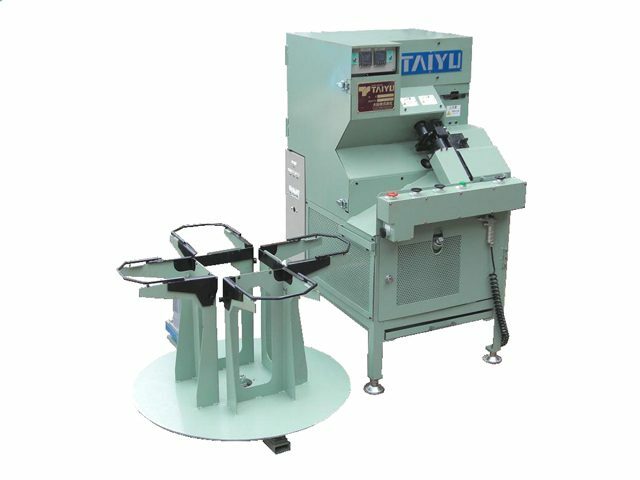 Cleaning machine for small scaffolding Cone Drum / Clamp maintenance machines NEWCAM-II / High-efficiency jack base cleaner TJC-Y type / etc. 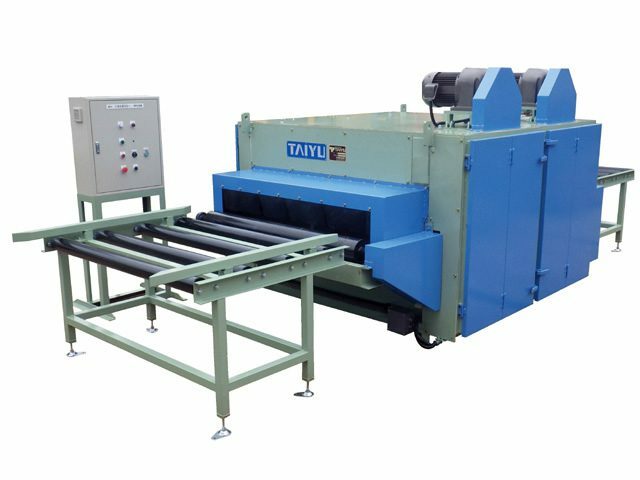 Partition plate can be set at any position and possible to clean different scaffold parts at same time. 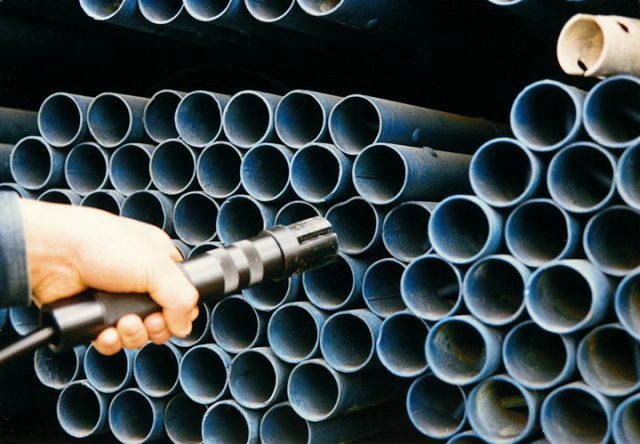 Clean long scaffold parts such as 6M pipe safely and quickly. 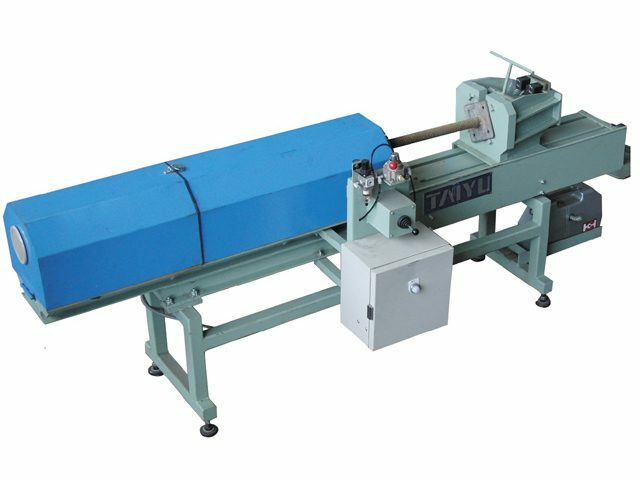 Reform of cover of clamp, screw shaping and oil application and packing will be done at one time. 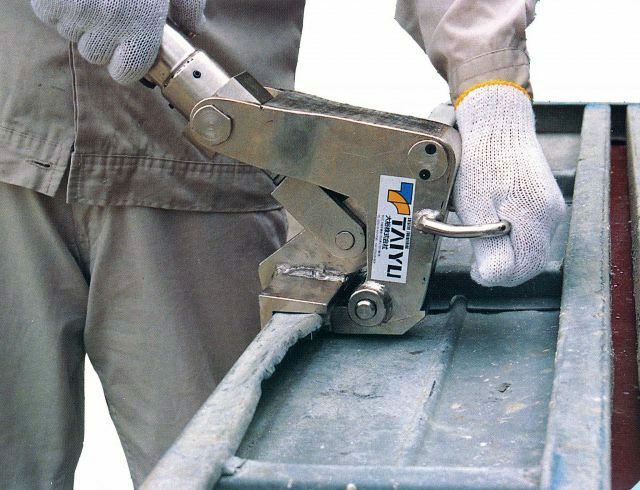 Clean small scaffold parts such as clamp. 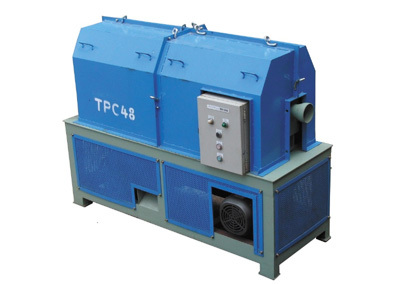 With automatic discharge function. 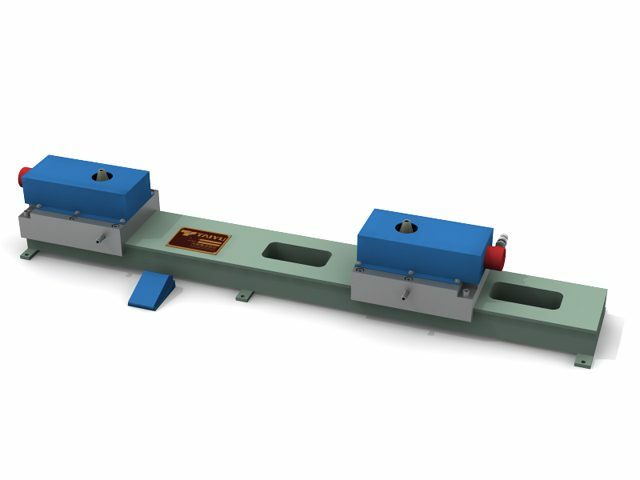 Straightening JIG for various types of scaffolding parts such as pipes, frame and support. Attachment can be customized at request. 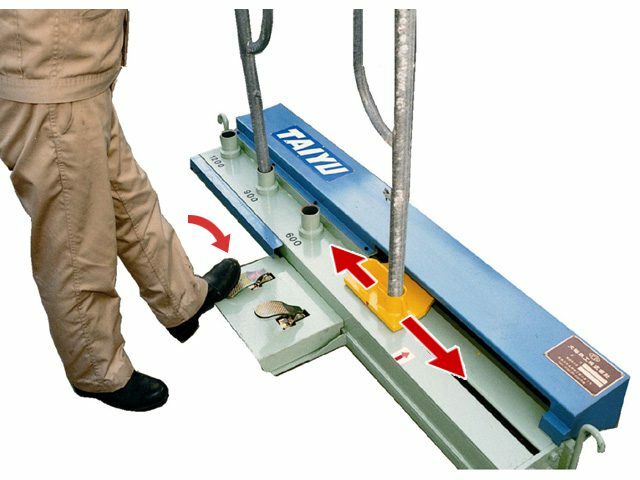 Frame/Scaffolding combined cleaning system MCS series / Scaffolding plank cleaning machine TC-III / Scaffold plank straightening jig Jaws / etc. 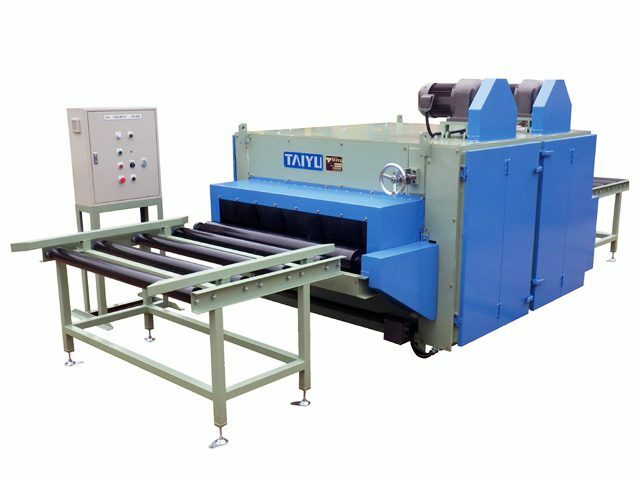 Masterpiece of scaffolding plank cleaning machine. 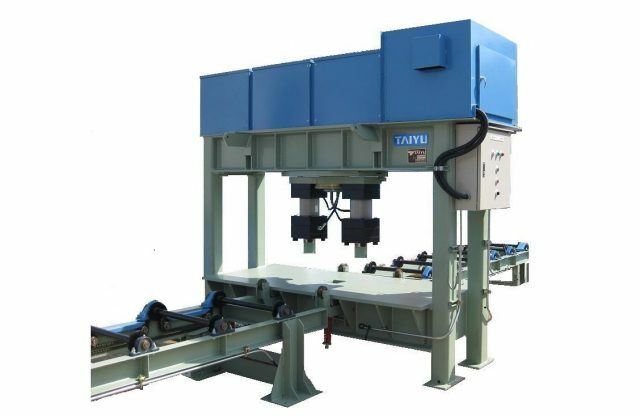 With high power and process capacity, it cleans not only top surface of plank but alos side of the plank. Easily straightens the scaffolding board or plank. Layout of MCS-I/II/III can be decided depend on your usage. 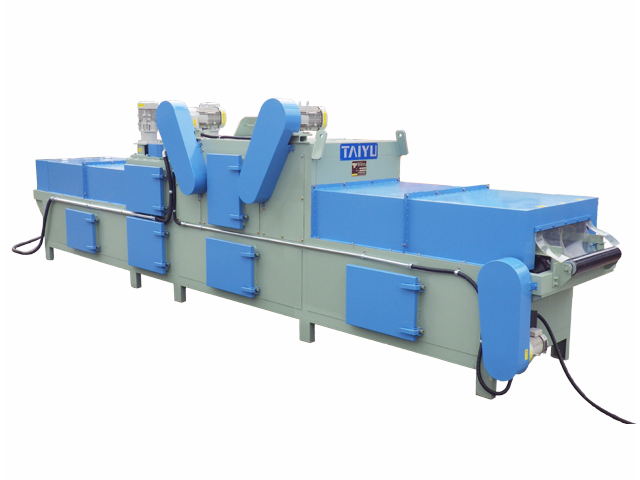 With special design of ring dresser, removal of concrete or resin-based stain without damaging plating are possible. 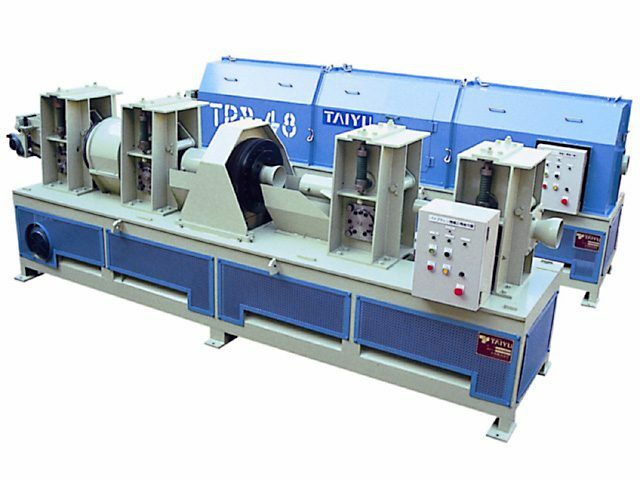 High power TS-I model, and high efficiency and labor saving TS-II, & III are available. Checking and adjusting the width of frame can be done at one time. Punching can be done accurately by simple button operation. 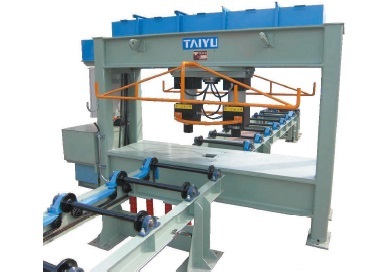 Checking of width and inner diameter of frame will be done at the same time. 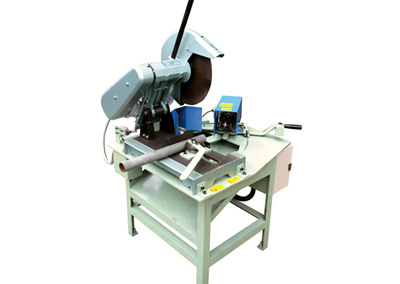 Quickly and easily straightens all types of curved steel. No need to move or turn over the workpieces after loaded. © 2017 - 2019 TAIYU Co., Ltd. All Rights Reserved.